Soft blue Venetians are a great way to make use of a bright window space. If you're a colour lover, then look no further than a rich blue blue blind. Blue Venetian blinds provide the perfect balance of style and practicality. Raise and lower the blind, or tilt the slats, to let a little sunlight in while maintaining your privacy. If you love the soothing and calming effect of the colour blue, then you’re certain to find something ideal for your home within our huge range of options. From pale shades to dark indigos, it’s easy to add a splash of drama to your décor with blue Venetian blinds. Simply book a free no-obligation home appointment and your local Hillarys advisor will show you our collection of blue Venetians in the comfort of your home. 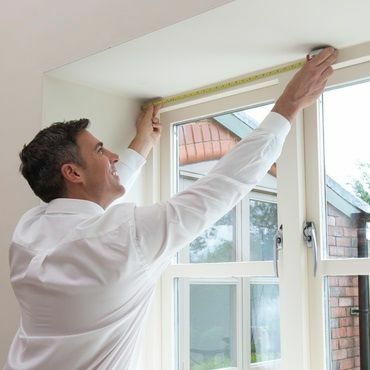 If your windows are overlooked, ask your expert advisor about smaller slat widths. Alternatively, plump for a wider slat width to create an airy environment. If you’ve picked out your Venetian blinds for a child’s bedroom, you may want to consider a PerfectFit frame. The clever cordless design neatly clicks into place in uPVC windows, with no need for drilling.